The next regional Fibromyalgia Support Group meeting is scheduled for Saturday, April 7th at 1pm at Princeton Community Hospital, 12th Street, Princeton, WV...Education Classrooms 1 & 2 as usual. This meeting will present the regional premiere of the first feature-length documentary about the lives of fibromyalgia patients. It's called "Living with Fibromyalgia: A Journey of Hope and Understanding" made by Trillusion Media. This showing will also include a special extended interview with Lynne Matellana, Founder & President of the National Fibromyalgia Association. 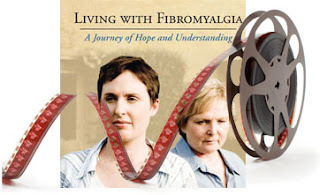 An informal Q&A session and discussion about fibromyalgia will follow immediately after the film. Everyone is encouraged to invite as many fibromyalgia patients, their families and friends, physicians and anyone else who may have an interest in learning more about fibromyalgia syndrome and what life with fibromyalgia is really like. There is no cost to attend. Everyone is welcome.